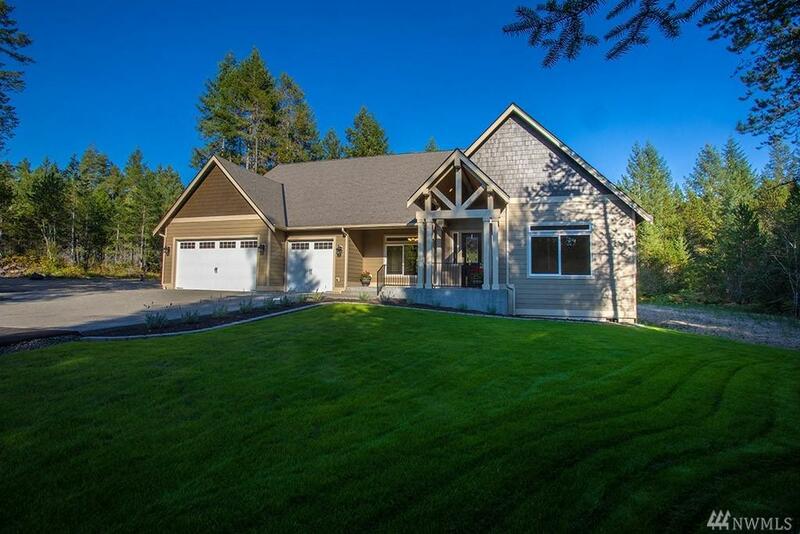 Beautiful 3 bdrm & den, 3 car garage rambler & bonus rm. Master suite is one side & the other bedrooms opposite side to give privacy. 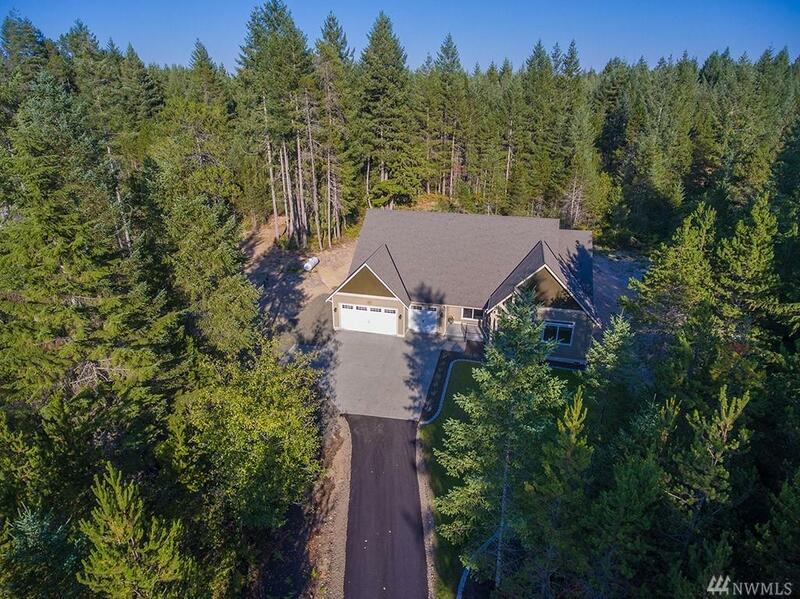 Open concept w/large vaulted ceiling in great room open to kitchen. Quartz slab kitchen counter top & island w/ top of line black stainless appliances. 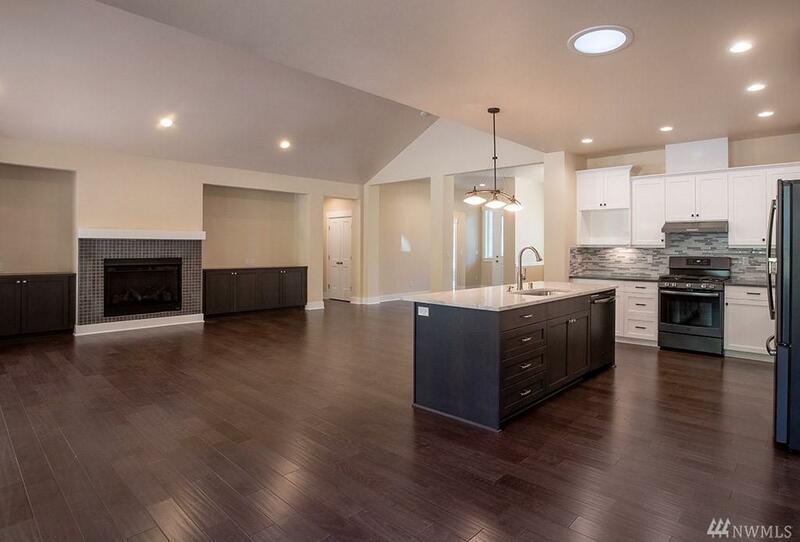 Luxury master Suite w/custom tile, walk-in shower, under mount sinks, heated floor. Covered back patio. Heat pump, tankless hot water, whole house water treatment. propane gas,RV parking. 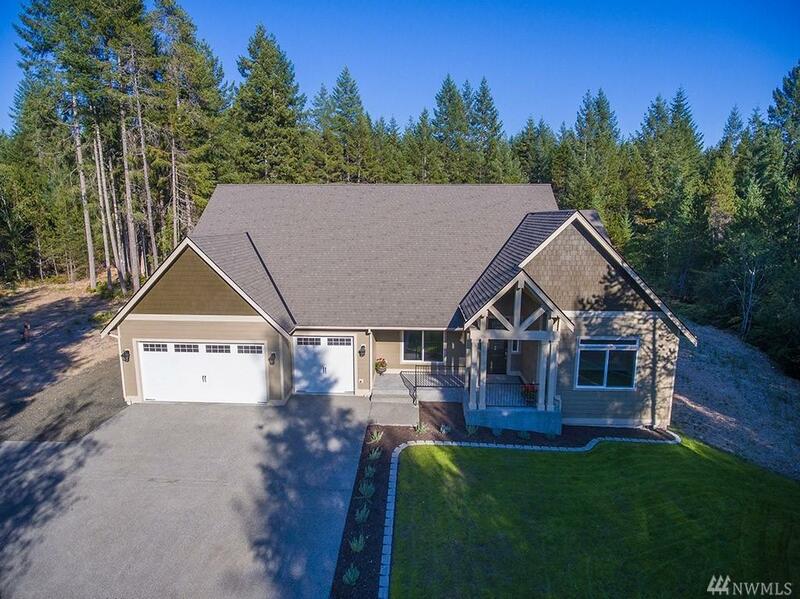 Close to HWY & Gig harbor.